This year everyone will keep talking about Artificial Intelligence, but the industry that is most likely to benefit quick from the development of this amazing technology is transportation. In fact Mobility is the hot word for business all over the world, mainly because the transport cost is a main part of the price mix of almost every product on the market. During the last year many of the big players in the automotive industry followed Tesla’s and Google’s example and announced their big plans for applying AI in the new models, mostly by building systems for autonomous driving and in-car entertainment. 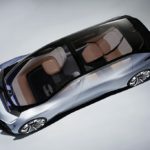 The concept of self-driving cars is going to totally transform the whole transport sector, mainly through getting the driver out of the equation – both in the sphere of personal and enterprise vehicles. 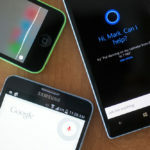 In turn this will change the overall user experience in the automobile and enable owners to make greater use of their connected cars. This process is about to add the hours spent driving to our free time and develop entirely new industry of automotive entertainment. The news are well received by the electronic sport companies and the whole video game sector. Of course the change is beneficial not only for the entertainers, but also for the sellers. Last week BMW has teamed with Accenture to build an augmented “car visualiser” that is using Google’s Tango technology to show full-scale virtual versions of the i3 and i8 models. The clients in the company’s showrooms can enter the simulator and customize the whole interior and exterior of the car, so that they can order a personalized version of it. 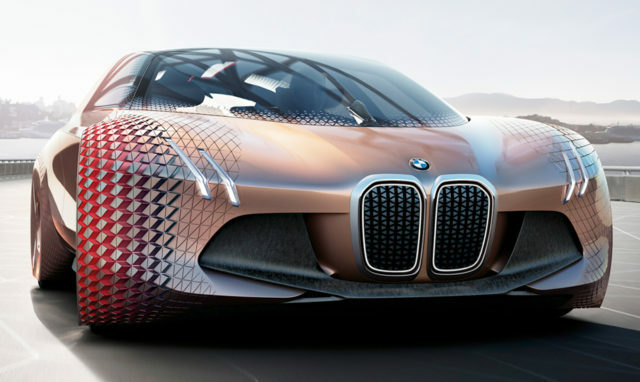 The innovative devices will be piloted across BMW dealerships this year and if the marketing department of the company determines that the project is successful, it will be deployed on larger scale. Meanwhile, the computer giant Nvidia revealed a powerful system that gives cars the ability to drive themselves. First part of the project is named Co-Pilot and is built as an AI assistant to drivers. It takes data from sensors in and outside of the vehicle through cameras and microphones and creates a profile of the surroundings. The assistant will notify the driver when he needs to react on a situation via voice signals and other means. Nvidia already announced new partners for bringing autonomous vehicles to public roads. The company is working with Audi for embedding its AI tech in the new model’s hardware and software by 2020. The automaker’s ambition is to build not only smarter, but a safer vehicle for its customers. If you want to keep up with the latest trends in mobility, personal and corporate transportation and their application in business and the smart cities of the future come, then Webit.Festival 2017 is the right place for you. In the Enterprise section of the event you can listen to speakers like the Managing Partner at New Mobility Consulting, Alex Renz, who is helping corporations, startups and investors take advantage of the opportunities emerging from the digital transformation of transportation and mobility. 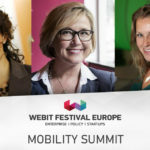 Among the other confirmed speakers is the Managing Director of Startupbootcamp Smart Transportation & Energy Tanja Kufner.